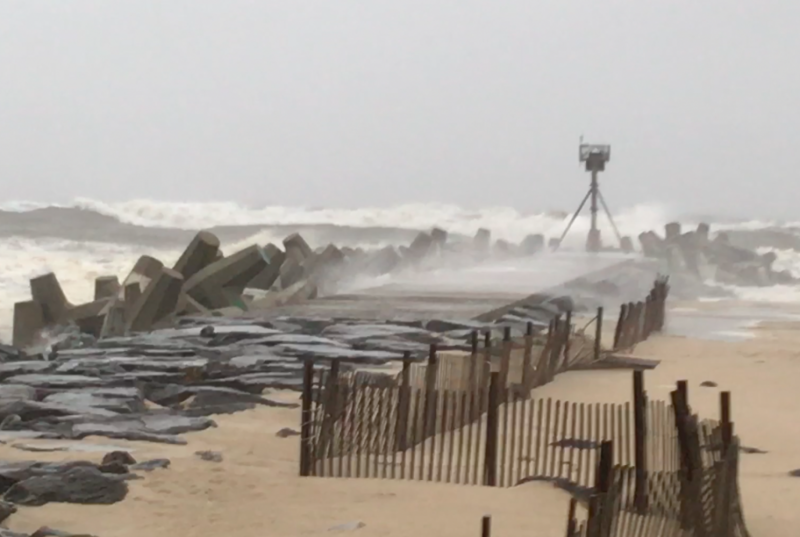 Rain bands from a powerful nor’easter that drenched the Jersey Shore on Monday will give way to cloudy skies and occasional drizzle Tuesday, however rough surf and beach erosion is likely to continue, forecasters said. The National Weather Service’s office in Mount Holly said rain should taper off between 10 a.m. to 12 noon Tuesday. There is the chance for occasional showers afterward, into Tuesday night. The high will be 44 degrees. Winds will continue, as well as rough surf, on Tuesday, the forecast said. Offshore winds will continue to blow between 20-25 knots with gusts to 40 knots. Near shore, winds will be sustained between 17-24 m.p.h. with gusts slightly above. Seas will run 9-13 feet, subsiding to about 6-9 feet by the end of the day. Seas will continue to decrease through Wednesday, when sun returns. Ocean County remains in a gale warning, a flood watch through 5 a.m. Tuesday, a coastal flood watch through 11 a.m. Tuesday and a wind advisory through 6 a.m. Tuesday. The storm will move out Tuesday night and be replaced with sunny skies and a high of 50 degrees Wednesday. Sunny skies will continue for the rest of the week, with highs in the 50s.